While it was obvious that Raytracing was the focus of GDC 2018, VXGI didn’t go unnoticed as NVIDIA hinted that a new version of the technology. For those who don’t know, VXGI stands for Voxel Global Illumination – an algorithm which deals with lightings and shades in games, giving it a more realistic appeal. According to NVIDIA’s Senior Developer Technology Engineer Alexey Panteleev, this new version of the algorithm will showcase a number of new features. Talking at the recently concluded Game Developers Conference, Panteleev highlighted innovations on the technology, which are going to appear in VXGI 2.0. First on this list is the incorporation of high-quality ’Area Lights with Shadows,’ which will greatly improve the rendering of games. In line with this, NVIDIA is said to be planning a dedicated VXAL API where developers can set their desired parameters freely. 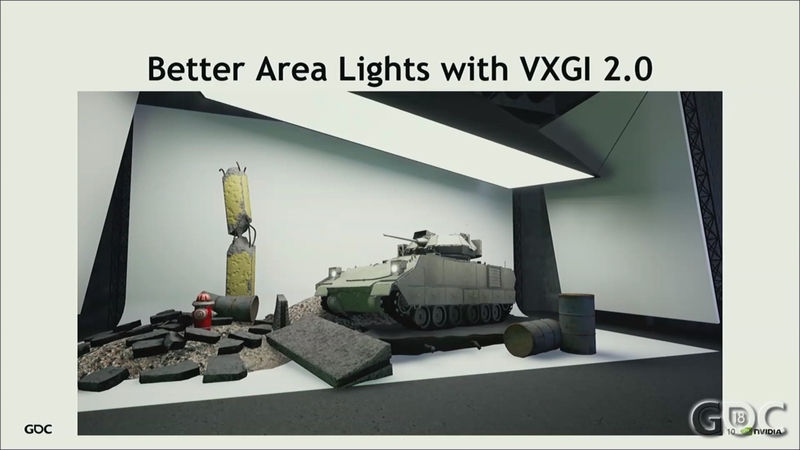 In terms of performance, the new VXGI 2.0 will come with a new feature, the one-pass voxelization, which, in theory, will increase performance by two folds. 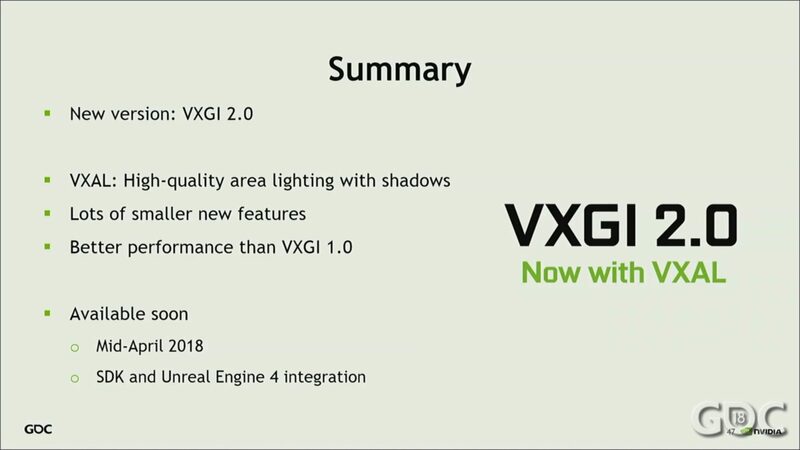 In addition to this, other features that are set to drop on the new VXGI edition includes uncomplicated voxel formats, easier and more flexible materials, simpler tracing controls, enhanced upscaling and temporal filters, and support for personalized G-Buffer layouts and View Reprojection for VR games. Wccftech notes that with these advancements, VXGI 2.0 will become more accessible to developers and will depend less on the hardware than it used to. This leads them to suggest that more developers will be making use of the technology. VXGI 2.0 is set to arrive before the month ends. Users can find the new version through NVIDIA’s developer page. It will also drop on Epic’s Unreal Engine 4 via integration. Overall, it’s really exciting to see the VXGI gain another new lease on life after being relegated to the sidelines for so long. It’s also important to note that, with this, the landscape of games might be changing once again.